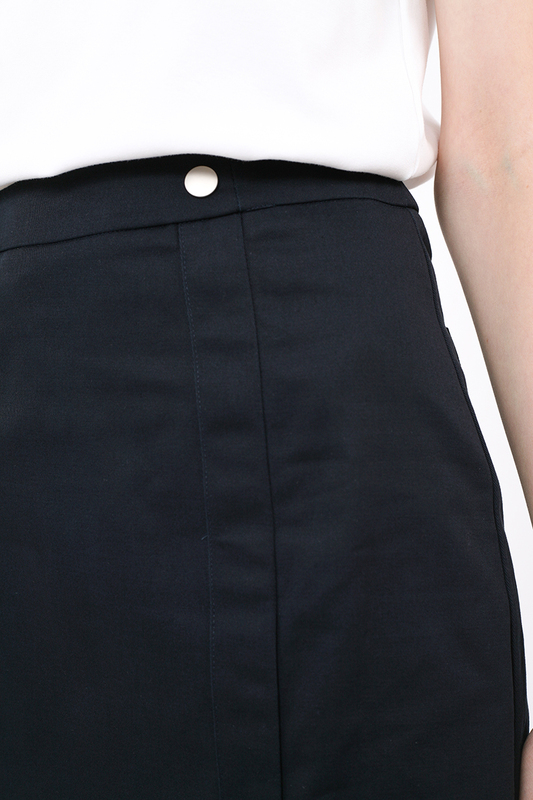 Made of lightweight yet structured cotton twill material, the Jinzo Skirt sits high on your waist to accentuate the narrowest part of your body. 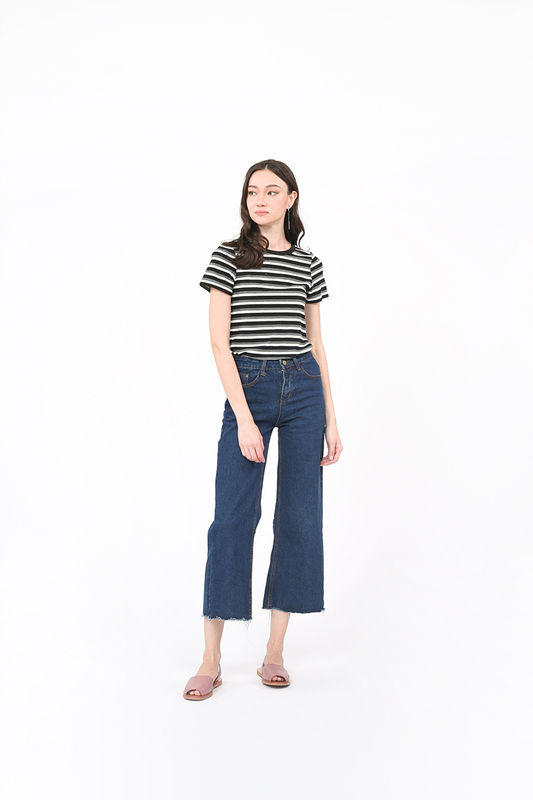 Embellished with a non-functional snap button along the waistband, this midi style falls just below the knees and comes with a split hemline in the back for ease of movement. Highlights include back pockets and a concealed back zip. Length 25.5" 26" 26.5" 27"
Slit 8.25" 8.5" 8.75" 9"